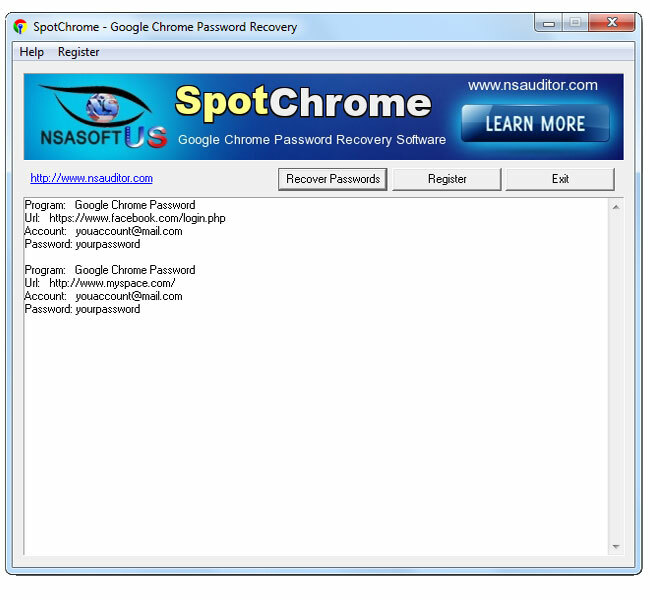 SpotChrome Password Recovery is the best tool to recover Google Chrome passwords. Google Chrome Password Recovery is a lightweight and very easy to use application that will help you to decrypt the passwords stored by Google Chrome browser. All the mentioned features are provided with a user friendly graphical interface.